Love that pop of yellow the washi adds! 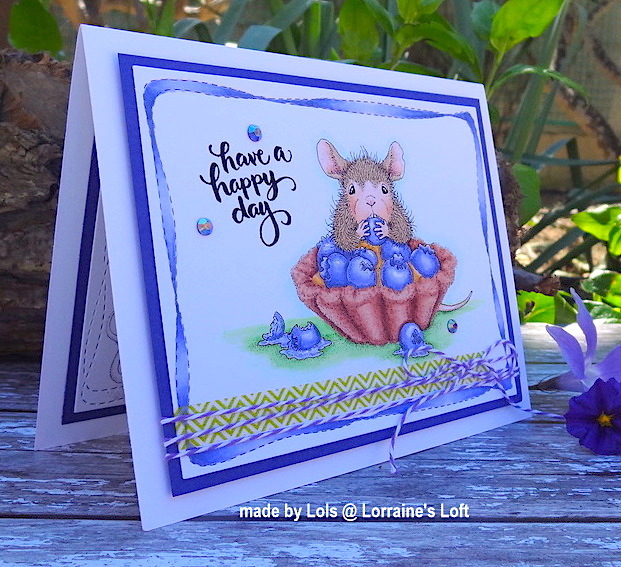 This cute guy is adorable Love the great colours of the blueberry pie..super design great card. Gorgeous card, both inside and out! 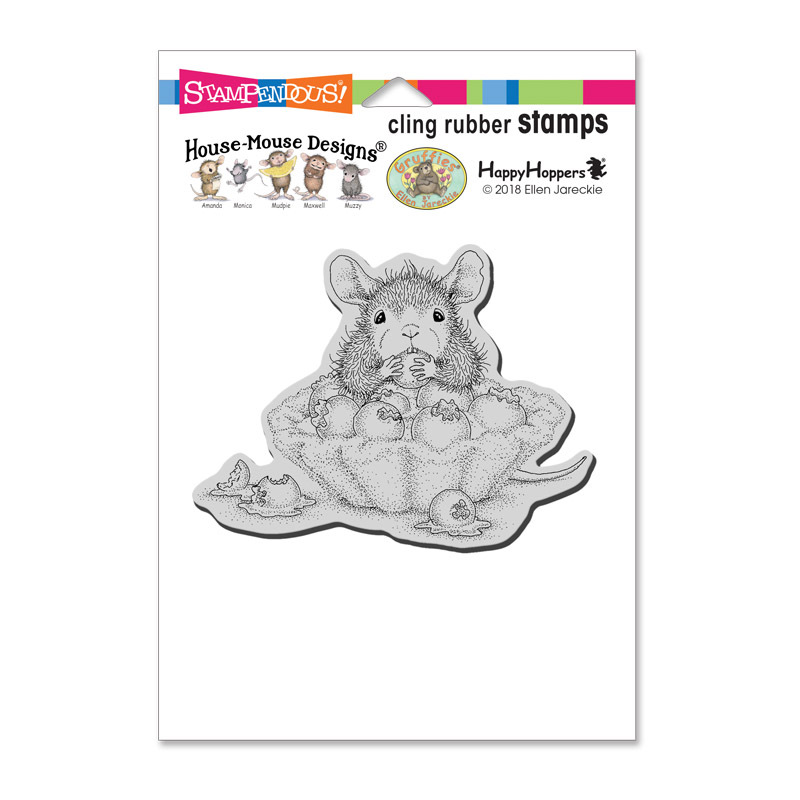 We should have done a challenge all using one of the stamps, we got, because it is fun to see how different everyone does the same stamp on a card. 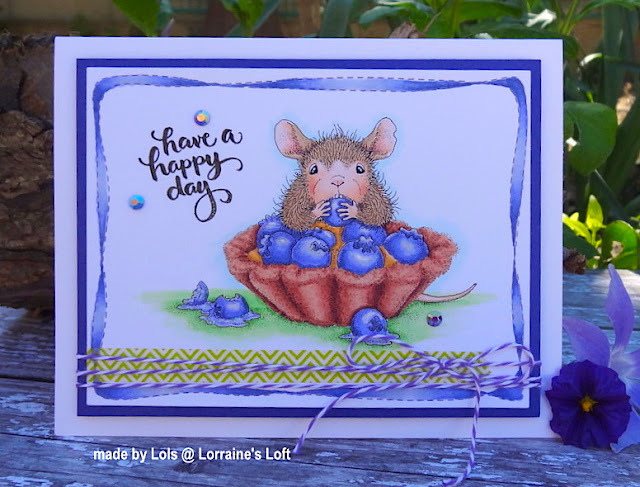 Love the coloring and colors on your bulueberry tart card. Inside is fun too, and loving the wonky dies!!! 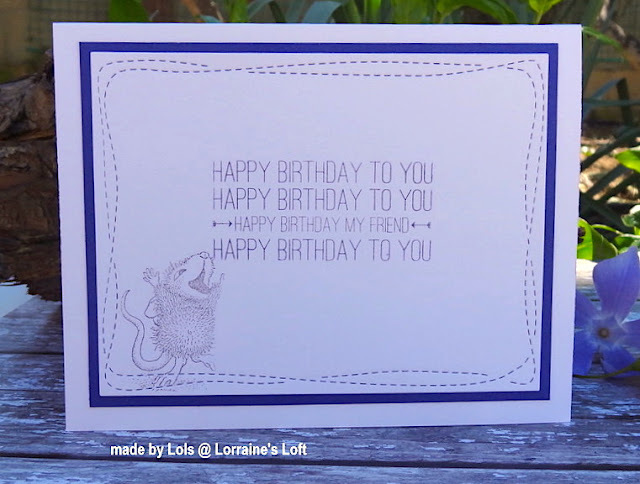 Super cute card, Lorraine.